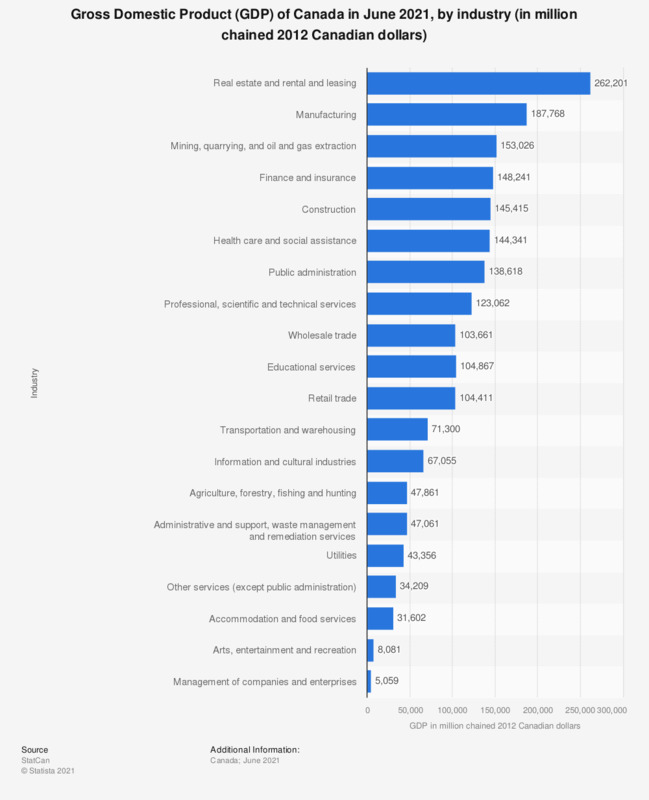 This statistic shows the Gross Domestic Product (GDP) in Canada in January 2019, distinguished by major industry. In January 2019, the construction industry of Canada contributed about 138.1 billion Canadian dollars to the total Canadian GDP. Everything On "Gross Domestic Product of Canada" in One Document: Edited and Divided into Handy Chapters. Including Detailed References. Statistics on "Gross Domestic Product of Canada"